Three members of NATO’s Resolute Support mission have been killed after a suicide bomber stuck a foreign troops patrol in eastern Afghanistan. A US serviceman and Afghan soldiers were also injured. The attack happened at around 6am local time as the convoy was driving in the Khala Zai area of Parwan, Wahida Shahkar, spokeswoman for the Parwan governor, told local Tolo News. A statement from the Czech military confirmed that the deaths were Czech service members and that the families of the victims have been informed. Defense Minister Lubomir Metnar has offered his condolences. Prague had recently have approved a plan to deploy 390 soldiers in Afghanistan through 2020, up from the current 230, according to Associated Press. 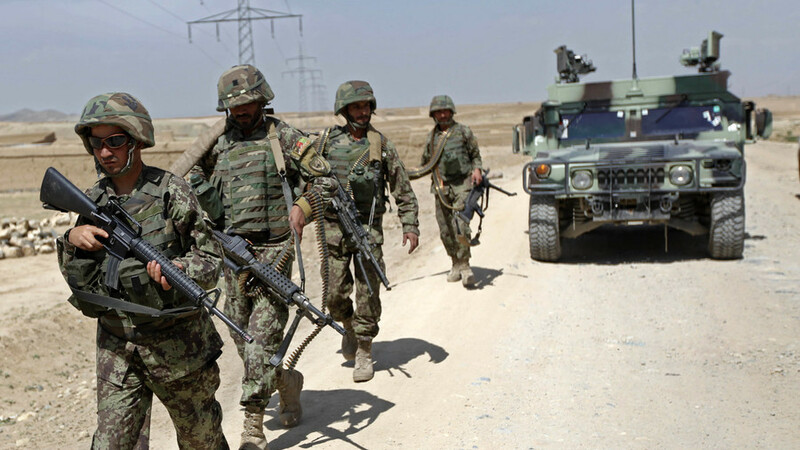 Earlier, US Forces confirmed that that two Afghan National Army soldiers and an American serviceman were also wounded in the assault. The assault brings to seven the number of NATO troops killed in the country in 2018. Despite the near 17-year US-led campaign in Afghanistan, Taliban militants still maintain control over vast swathes of territory and are capable of launching attacks on troops and civilians in urban centers like Kabul with deadly regularity. Islamic State (IS, formerly ISIS) has also rooted a presence in several eastern provinces. The worsening security situation has seen US President Donald Trump move away from claims during the presidential that the US should stop being the world’s policeman, instead overseeing a troop surge in Afghanistan. The UK has also promised to double its troop commitment to the train and assist mission of Afghan troops it is overseeing, with a further 400 troops to begin deployment from August. In addition to attempts to get a handle on the deteriorating security situation, US aid money aimed at curbing Afghanistan’s rampant poppy trade had done little to topple it as the world’s number one opium producer. A recent report by the Special Inspector General for Afghanistan Reconstruction (SIGAR), Afghanistan’s reconstruction watchdog, found that despite spending $8.62 billion on counternarcotics efforts in the country between 2002-2017, the US had failed to reduce the drug-related threats to Afghanistan “in a meaningful way,” with opium poppy remaining the “largest cash crop” in Afghanistan.